More reviews from "Shadows, Lies & Private Eyes: The Film Noir Collection Vol. 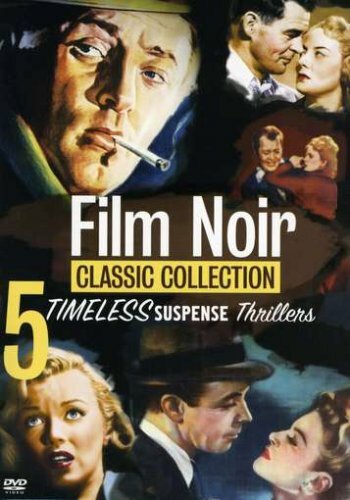 1"
The Film Noir Collection Vol. 1"
Buy just "The Asphalt Jungle"
While still making its colorful feel-good musicals and comedies, MGM opened a second wing in the late 1940s and early '50s to make grittier, more realistic dramas. John Huston's "The Asphalt Jungle" is one of these. Though it was conceived to look like a low-budget B-movie, it featured an A-list director who had just won an Oscar (for "The Treasure of the Sierra Madre"), and an excessive running time (112 minutes) that would have disqualified it for B-movie status. "The Asphalt Jungle" was perhaps the first heist film to concentrate on the details of the robbery -- previously considered too "boring" for the movies -- and then the brutal aftermath. Sam Jaffe plays Doc Riedenschneider, a criminal mastermind recently released from jail with one big final score on his mind. He needs only a safecracker (Anthony Caruso), a driver (James Whitmore) and a thug (Sterling Hayden). He goes to a cheap bookie, Cobby (Marc Lawrence) for the cash to hire his crew, and Cobby in turn goes to a millionaire lawyer (Louis Calhern) who is actually broke and hopes to double cross everyone. Jean Hagen (who would go on to play the memorable Lena Lamont in "Singin' in the Rain") plays Hayden's talkative girl and a young Marilyn Monroe plays the lawyer's extramarital fling. Monroe had a similar-sized part in "All About Eve" the same year, and she nails both roles with such overwhelmingly brutal star power that she all but steals everything. It's only obvious that she would go on to become one of cinema's greatest stars. Huston concentrates mostly on the film's performances, but like "The Maltese Falcon" and "The Treasure of the Sierra Madre," he uses space, shadow and a very clever mise en scene to physically illustrate the film's themes. Scene after scene, we feel the actors closed-in and trapped, almost crushed by the very frame itself. It's all the more ironic when the deadly finale takes place in long shot of an open field, with a sole member of the gang surrounded only by horses. With such a promising string of early films, Huston went on to become perhaps the greatest Hollywood director with the largest number of bad films to his credit. Nevertheless, now we can look at "The Asphalt Jungle" with fresh eyes on Warner Home Video's excellent new DVD. It comes with a commentary track by USC Cinema History professor Drew Casper, plus archival comments by James Whitmore, a vintage filmed introduction by Huston, a trailer, optional English, French and Spanish subtitles and an optional French language track.